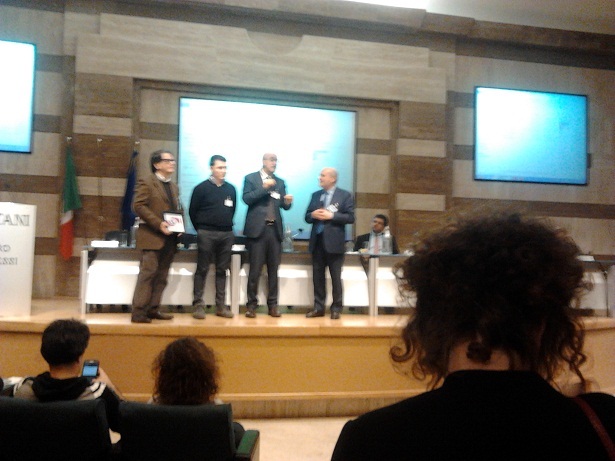 On Feb. 27 2014, the second Italian open geodata day was held in Rome. The meeting organisers reported some 500 registered attendees. The event was arranged in a plenary session in the morning, and four parallel sessions in the afternoon. This was -if I am not mistaken- the second Open Geodata Day. Last year I was not able to attend, so I left Grosseto very early on Thursday morning, with a lot of curiosity and some “expec” (they say you should never have strong expectations on things, but I think it’s ok to have a little). The close-of-business was around 6.30PM, giving my regards to a mixed (public-private) delegation of various stakeholders from Puglia. I don’t mean to propose a proper summary of the day. Even assuming I have the skills to do this, by 3PM I was already blown out by the 4.15 AM wake-up call. …I may not have been the best observer on site. But I did note a few things. Yet again (since 2006), the parallel presence in the same community of an amateur perspective, a research perspective, and a business perspective. There was also an interesting exercise proposed by the organisers: each attendee was given a paper form, to be filled in with something like “the open geodata app which you think is currently missing from your market”. I apologise with the organisers for not returning my feedback, and I’ll try to make my amends over the coming weeks. We gave a presentation of the BuioMetria Partecipativa project, with its implications for promotion and protection of the “upper half of the landscape”, at the Greening Camp. 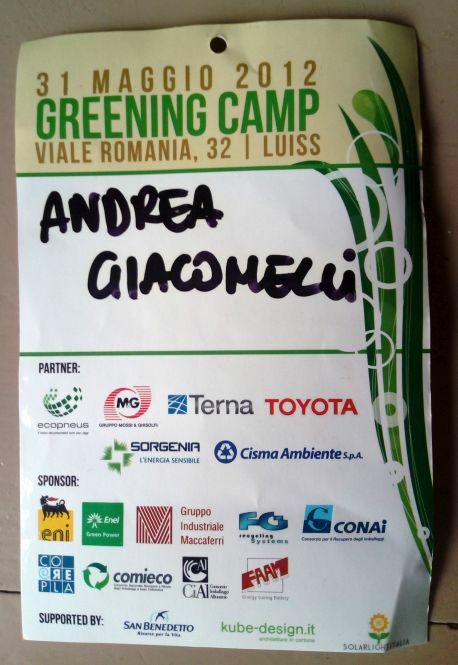 This was as event organized by the Italiacamp association under the patronage of the Ministry of Environment. Our project had a good ranking and was mentioned among the best practices in the summary session of the event. This was a BMP presentation in a community space on sustainability in the Testaccio neighborhood.